So many of the movies released this Christmas were so bad that I decided to spotlight several fine films featuring African-American actors, two of them films released at Thanksgiving (“Creed ll” and “The Green Book”) that are still playing at one or two area theaters. Additionally, I also review “If Beale Street Could Talk,” which is helmed by Barry Jenkins (the great African-American director of “Moonlight”) and features a superb, mostly black cast. “If Beale Street Could Talk” opened at Sacramento’s Tower Theatre on Christmas Day. What could be better in the deep of Winter than a good ‘ol superhero movie? 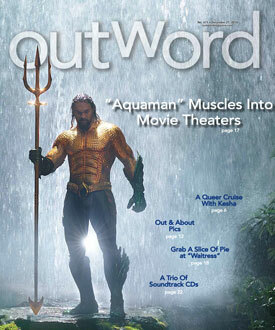 “Aquaman” to the rescue! Check out what Chris Narloch has to say about it and another hero movie, both of them are in theaters now. Read more: Our Last Issue of the Year is Out Now! 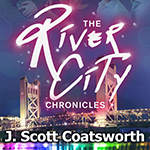 Previously in the River City: Diego's sister found his ex-wife Luna - the one he's still married to - in Italy, and told him that she wants to see him. Matteo said they would figure things out, but then Diego’s blackmailer called asking for his money. Diego and Matteo met with Max at Lucca and told him to screw himself. Max ran out of the restaurant and was hit by a car. If you have Amazon Prime, it’s not too late to get free delivery on these dynamite DVDs before December 25, just in time for gift giving. Or, if you are all done shopping for others this Christmas, you can purchase all four movies for yourself. 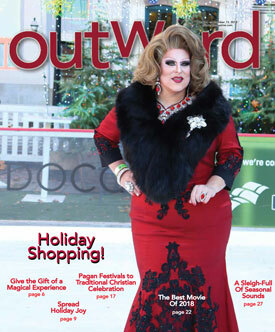 Our Holiday Shopping Two issue is Out Now! Ya gotta love some “Precious Cargo” on the cover of our second Holiday Shopping issue of the season! Jake, AKA, Precious, was helping us promote our Drag Queens on Ice Gay Skate Night, which was a huge success! Thank you Downtown Sac and Jake Rowe for the super fun photograph. Read more: Holiday Shop Two 2018 is Out Now! Holiday Shop One is Out Now!